Purina is offering you a chance to get a new leash on life. "Working-out with a pet makes losing weight more fun and more rewarding, and studies have even shown that owners that do so lose more weight! * Jenny’s New Leash on Life program can show you how slimming down can be fun and easy for both you, and your pet—register here to find out for yourself!" Register now and get a Free Dog Leash and and a $20 Purina Veterinary Diets Coupon. 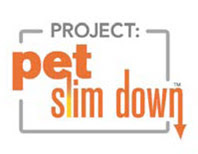 "Thank you for enrolling in Project: Pet Slim Down! Your leash and Purina Veterinary Diets® coupon will arrive in 4-6 weeks. In the meantime, get your pet’s weight-loss journey underway. Talk to your veterinarian about a plan for your pet, start tracking your progress here, and connect with other Pet Obesity Fighters on our Facebook page!" You should e-mail Purina to voice your complaint! Is your Store-Bought Dog Food Healthy?